A great party in the park! We’d like to extend a sincere THANK YOU to everyone who attended our 3rd Annual Fall Fundraiser: A Party in the Park. This party was an unprecedented success, with 100 people in attendance (and one case of wine depleted within the first half of the night). Everyone enjoyed a pasta bar and cookie table, apple cider mocktails and adult beverages, and live music and dancing in front of two warm fires. Because of your attendance and support at our silent auction and 50/50 raffle, we were able to meet our fundraising goal for the evening, which will help us as we continue to grow our organization to take on the various challenges facing our communities. We’ve had tremendous successes in the recent past, and we are determined to continue on this path towards a healthy environment and economy for future generations. We would be remiss not to mention the efforts of our volunteers who strung lights; who assisted with setup, registration, and cleanup; who ran the bar all night and made additional trips to the store for more supplies (really, wine - we’ll remember next year that CCJ supporters like their wine). There is no possible way we could have done this without you. 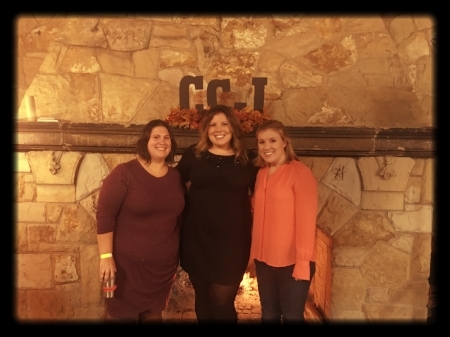 From Veronica and the Sarahs at CCJ, we hope you had a great time, we thank you for your support, and we hope to see you next year!